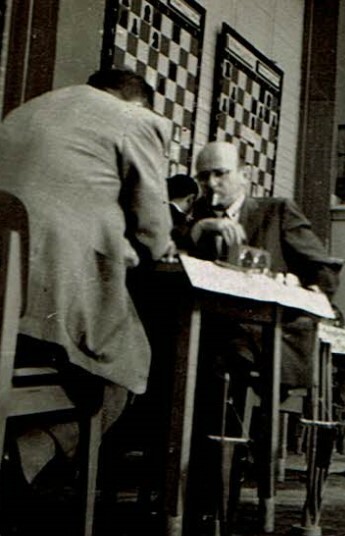 Carel Van den Berg playing Yosef Porat. A major update to Israel Rabinovich-Barav's memorial site had been done. The web site's outlay has been made much more spacious and regular, solving some problems with text which was hidden behind diagrams or photos. Games were arranged in chronological order, annotations have been updated, and various other changes were made. Go take a look! 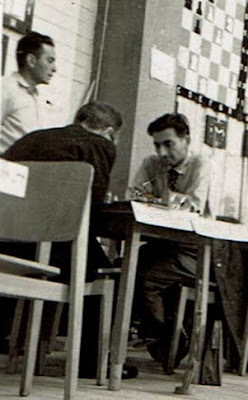 In our update of Israel Rabinovich-Barav's web page, we have been generously given another game score by his son, Ami Barav. 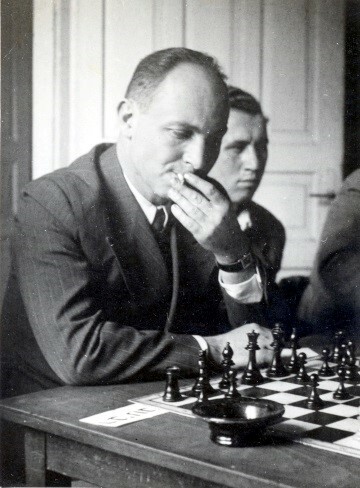 It is of a game between him and Tziner. Correction: Ami Barav informs us that the player was Tziner, not Israel Dyner as we previously reported. The two names appear quite similar in Hebrew script! 1.d4 Nf6 2.c4 e6 3.Nc3 d5 4.Bg5 Nbd7 5.e3 Be7 6.Qc2 c6 7.Nf3 0–0 8.cxd5 exd5 9.Bd3 Re8 10.0–0 Ne4 11.Bf4 f5? A tactical error which Barav exploits immediately. 12.Nxd5! Bd6 12...cxd5? 13.Bc7 wins the queen. 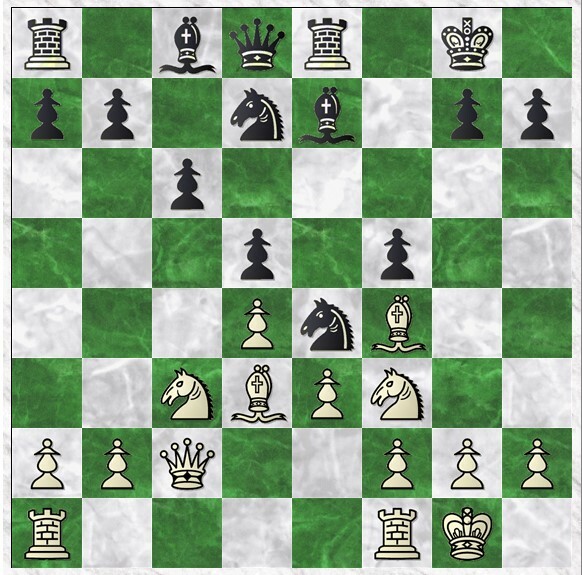 13.Bxd6 Nxd6 14.Nf4 Nf6 15.Qb3+ Kh8 16.Rfd1 Qe7 17.Ne5 Be6 18.Qa3 Bf7? the final mistake in a lost position. 19.Qxd6! and Black resigned (1-0) due to 19...Qxd6 20.Nxf7+. 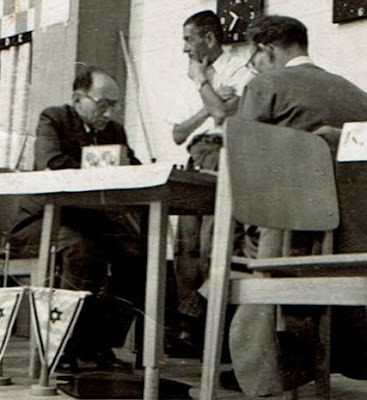 In the post about the Lasker club's sad demise from a few days ago, we should note that Israel Barav was one of the most active players and activists in the club until he left for the Reti club in the mid-1950s. We do not link this time to our memorial site for Barav, because we are now in the process of a major update: adding a new game, arranging all games in chronological order, and so on. 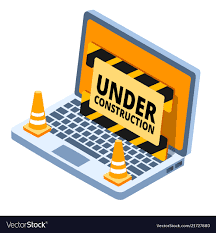 The site is online and functioning, but the updates are not viewable yet, as the changes are not quite finished. Expect a major update on Barav's site in a few days. 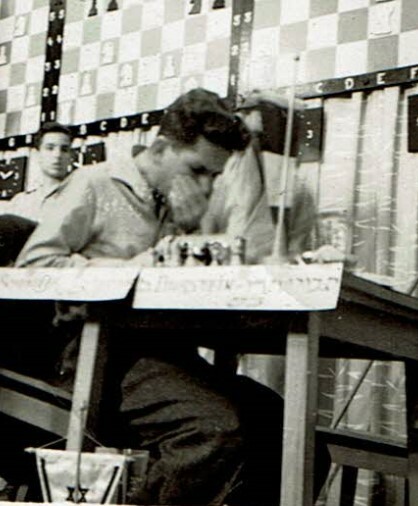 10.1957, 3rd kibbutzim championship, Ramat Gan, Israel. Black in in Zugzwang. His one remaining move also loses. 28...Nf8 29.Be7 Rd7 30.Bxf8 Kxf8 31.Qh7 Qf6? 31…f6 was a better try. Black is very short on time. 32.Qh8+ Ke7 33.Qb8 Rd6 34.Qb7+ Ke8 35.Rxd5 Finally the first pawn falls. 35...Rxd5 36.Qxd5 Qe6 Exchanging queens is forbidden, since Black will break through on the queen's side, but White chose another continuation and won (1–0) in a few moves. I am Avital Pilpel, a chess history fan. Visit my website at www.avitalpilpel.com. Comments to avital.pilpel@gmail.com. All comments welcome, but I cannot promise to accept / publish them all. Please note if (1) you want to be quoted anonymously ("a reader notes..."), and (2) exact source of your material. All rigths reserved to Avital Pilpel. . Picture Window theme. Powered by Blogger.